The funny thing about the British weather is when it’s bad, it’s pretty darn bad. But when it’s good, oh it’s glorious. And the last two weekends, how glorious has it been? I mean, not so much during the week, when your rammed onto the tube commuting, but when you have the whole day to do as you like, it is a dream. 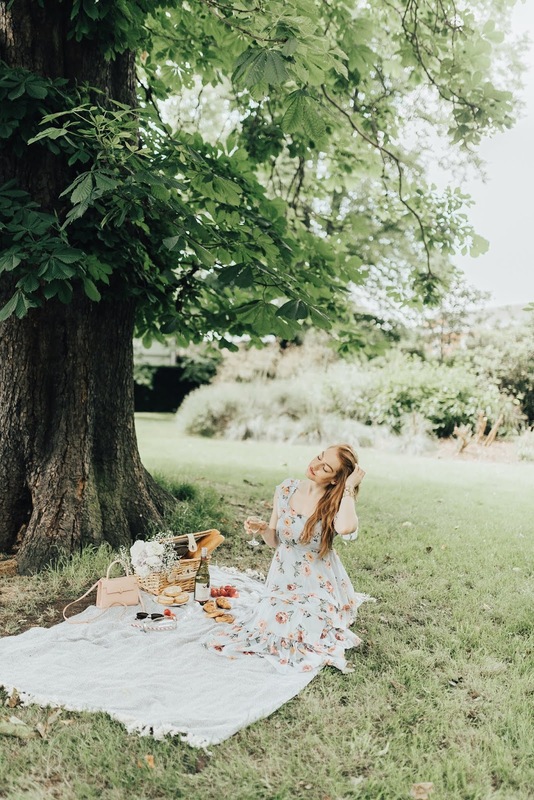 There are many things you can do with your summer weekends, but one of my absolute favourites has to be the great British picnic. There is something about eating outside that just feels so right. Maybe it’s being amongst nature, maybe it’s the fresh air, or just the fact that it’s a break from routine. 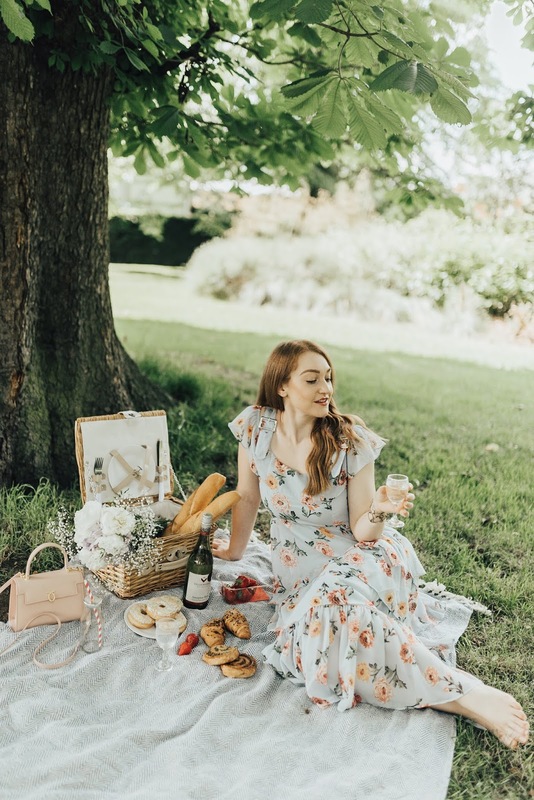 So, at the weekend, off I went for my first summer 2018 picnic. 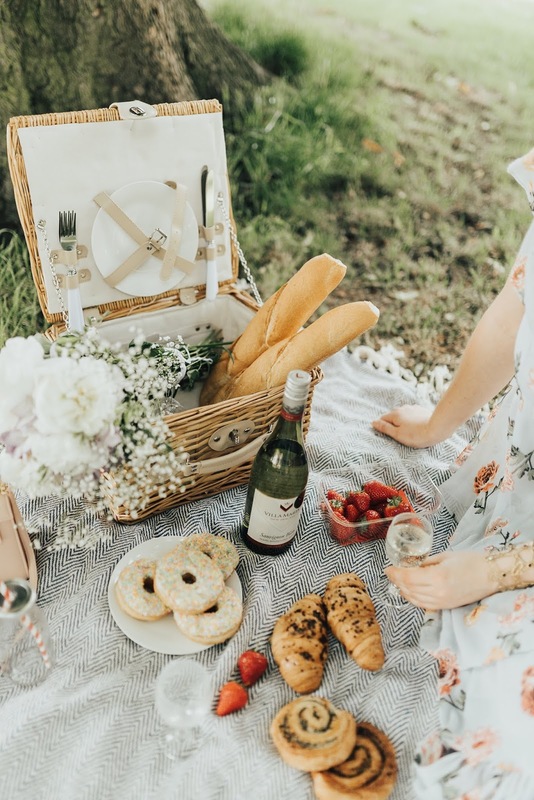 But what makes a great picnic? Let’s talk location. Sure you can have a picnic anywhere, but you’ll want to find a spot comfortable enough that you can settle for a few hours. I’d recommend, if you are going to a park, finding a spot away from the crowds, so you can have some peace whilst still observing. Also if it is a hot day, make sure to grab a patch of shade so you don’t burn as easily. And what do you bring your items in? I’m all for a picnic basket over a cooler. I just love the classic look of a basket, and it feels more like a special occasion. I got mine from Tesco for only £20 and it even came with plates and glasses, so it doesn't need to cost the earth. Now, the food and drink it pretty important if you ask me. But let’s start with the drink. 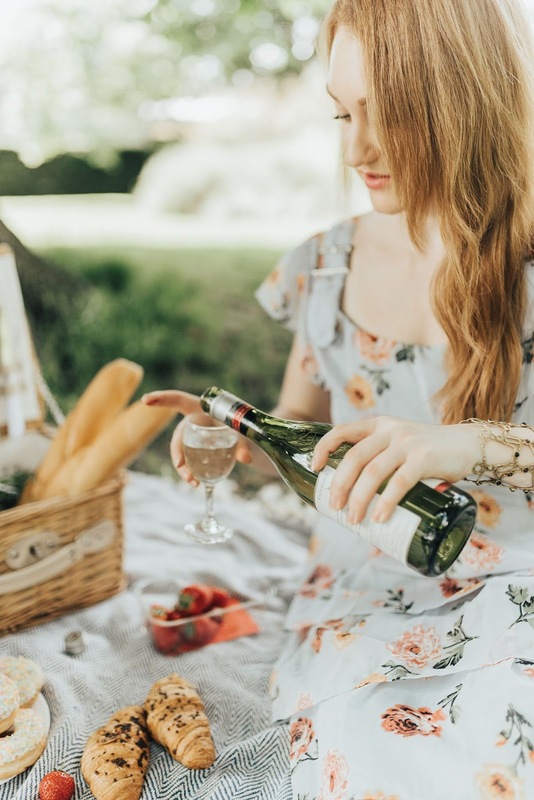 You can take a picnic from zero to hero with one quick pop of a wine bottle. Imagine relaxing at your favourite beauty spot with a crisp glass of wine. Sounds perfect right? 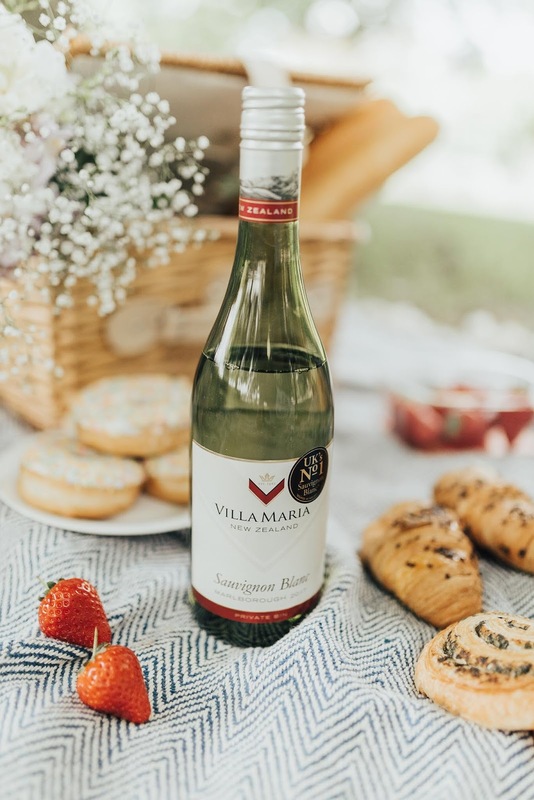 My preferred choice this summer is Villa Maria’s Private Bin Sauvignon Blanc. If you don’t know, Villa Maria, hailing from New Zealand, has recently been named one of the UK’s most admired wine brands and has won countless other awards. Started in 1961 as a one-man band, they've now grown to be New Zealand’s most awarded winery for over 30 years. When it comes to dinner, I’m more of a red wine drinker, as I like a fruiter and sweeter wine. However, if you are like me, then can I tempt you to the white side? Their Private Sauvignon Blanc is a lovely crisp wine. It’s extremely fresh and almost tropical in taste. In my opinion dry white wines range vastly in how dry they are. This one is fruitier and whilst it isn’t a sweet wine, it is lighter than other dry whites I've had recently, and honestly one of the best ones I've had in a good while. This makes it the perfect day wine, as the fruity taste make it a really easy drinker. I really like Villa Maria wines, as they are all elegant and delicious, without leaving you questioning the taste and notes of it, which I find confusing, and wondering why I don't get wines more. Now the food. Picnics are all about small portions. Nibbles, bite size, whatever you call them, it should be about lots of small things to try and graze leisurely on. It can be a struggle a plate and knife fork whilst sitting grass so opting for finger-food rather than items needing cutting is best. Whilst sandwiches are an obvious choice, I’d always suggest build your own rather than pre-made. Often fillings cause the bread to go soggy on the journey, so instead pack some baguettes that can be torn open, and provide meats, cheeses and jams for easily assembling when there. Salads are a perfect addition too, as they are easy enough to throw together and can be passed round the group. I’d recommend a caprese salad as the mozzarella and sweetness from the cherry tomatoes would go really well with the sauvignon blanc. 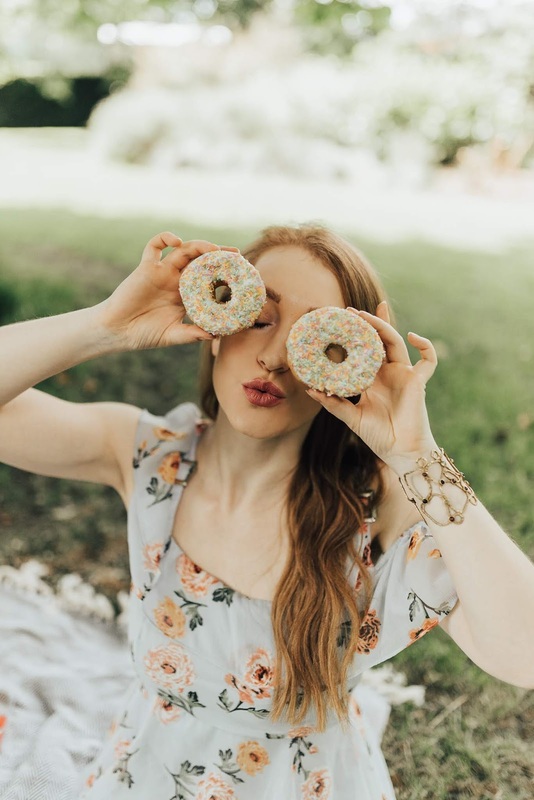 Of course, no picnic would be complete without the sweets. As we have chosen a fruiter, lighter wine, you really can’t not indulge. 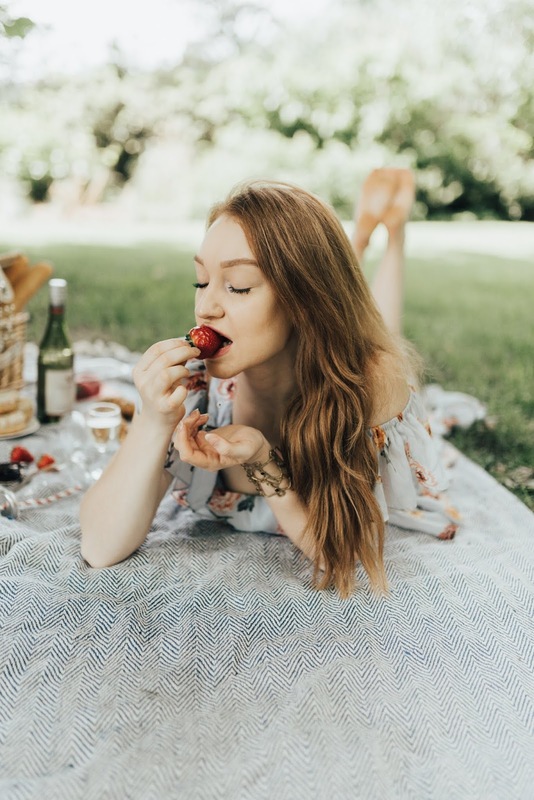 I swear strawberries are mandatory in Britain to have at a picnic but I’m also a big fan of a donuts and pastries too. But of course most of all, it’s about the company you are with. So grab your nearest and dearest and settle down for some quality time away from the hustle and bustle of the week and just enjoy this great British weather, as well, who knows how long it will last for? This post was sponsored by Villa Maria, but all content and opinions is my own. I love this! 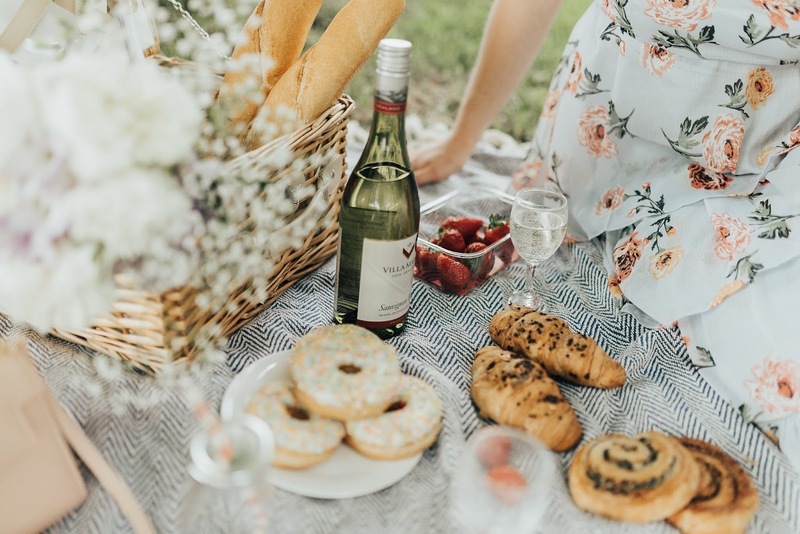 Picnics to me are all about the wine and the food!